A few things the kids and I have been up to . Of course there has been alot more going on , but alot of the time I forget to take photos . 1. 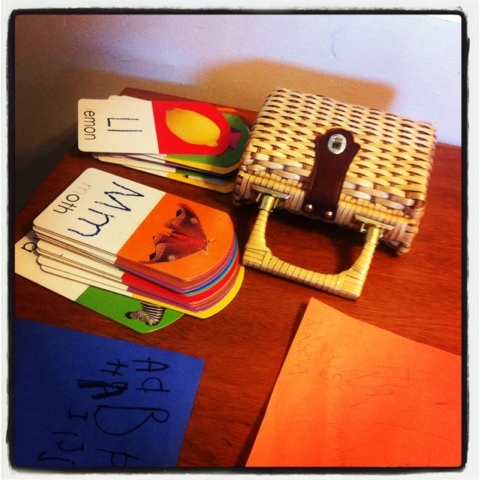 Our set up of dry eraser alphabet boards that have been helping with writing out the alphabet . 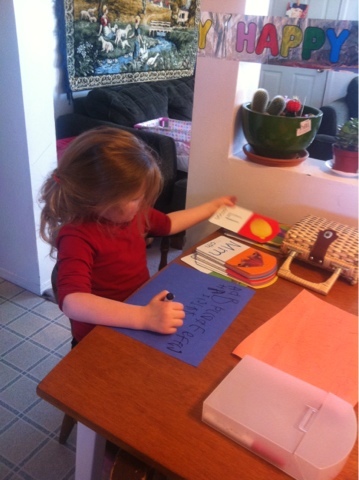 My daughter does those and than writes them herself on paper without usin the trace lines that are provided on the cards. 2. 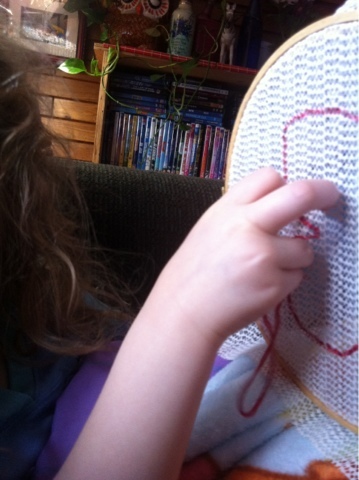 My daughter doing embroidery . I bought a vintage embroidery hoop. Embroidery thread and that anti skid stuff that you put in your cupboards from a dollar store that was going out of business to use as cloth . 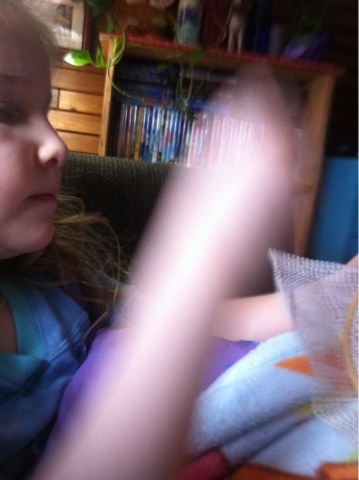 She is using a plastic needle from a dream catcher kit she got from her Christmas advent . Anyways I got this awesome idea from filth wizardry! I love that blog ! 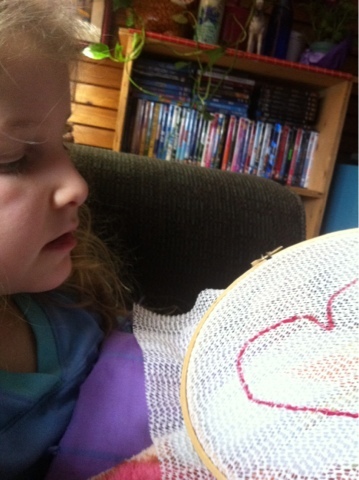 My daughter did a heart for her first embroidery pattern . She was really happy to do this activity cause web ever I'm sewing she wants to too! 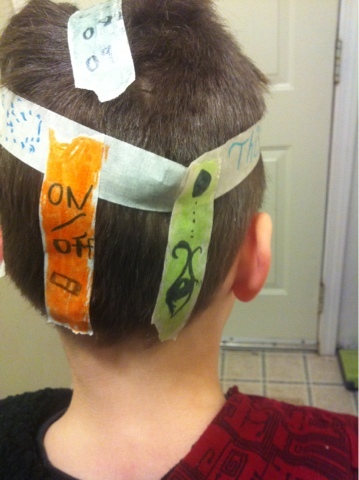 4.my sons " wacky hair day at school" I knew everyone at shool would be goin with the whole spiky dyed hair so I just put scotch tape on his head and wrote random things and he wanted me to put an on and off switch because he claimed this scotch tape creation as robot hair . Hahahaha. 6. My daughter workin away ! She takes it very seriously !! Forgot I mention one of my favorite vintage purses I have . My kids love to play with it when they are playing house or whatever " and pretend I was ... " game they are playing ! !